[New for 2014] Ok, prepare for your brain to hurt a little. 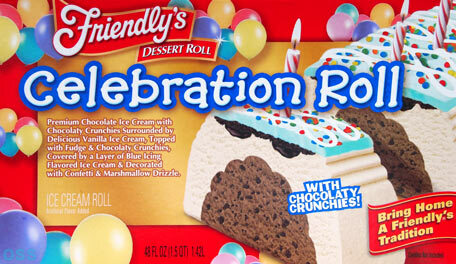 For a long time, we've had traditional friendly's ice cream cake. 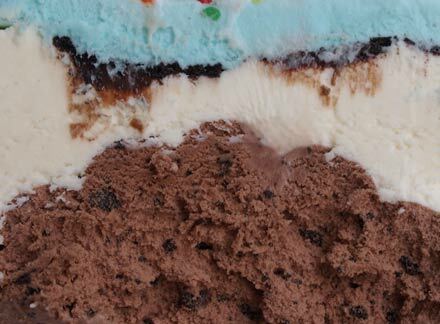 Then, to spice things up, this year we got friendly's awesome ice cream cake ice cream, and then there are ice cream cake bars, and now, we've got ice cream cake flavored ice cream cake. 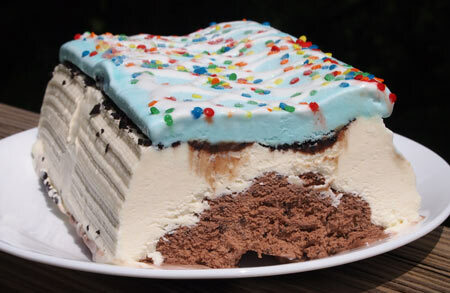 Yes, we have reached ice cream cake inception! Doh! It seems like a little freezerburn & ice crystals snuck through the plastic wrapper, but still, it's cool looking and I'm stoked to try it. I dig in and it's pretty good. Let me start by saying that if you pass this out at a party, I'd be surprised if anyone complained. 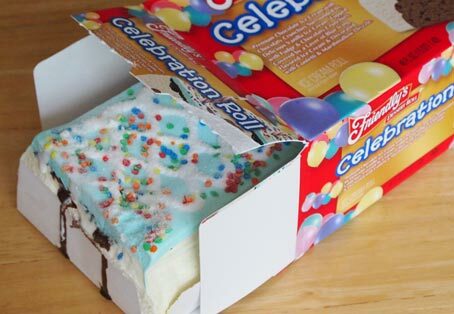 They'd all be too busy staring at it going "Whoa, what kind of ice cream cake is this?". However, this is a review blog, so let's scoop deeper. The vanilla is the slacker component here and it's got a strange, gritty (freezer burned) texture. Unfortunately it's taking away from the other components. 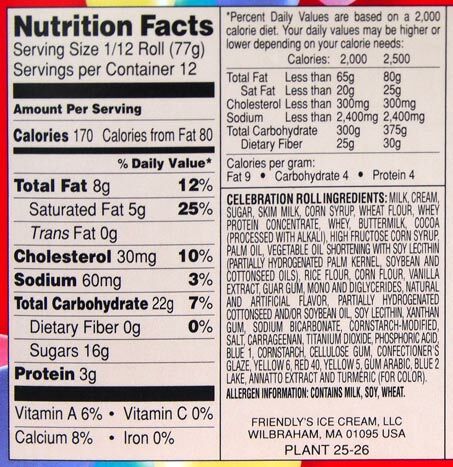 The blue frosting ice cream is decent, but seems to be more mild then the one we found in the ice cream cake ice cream. The chocolate base is nice and filled with crunchies, but I wish they were larger.... but wait, this cake has a secret weapon. Look at the slice again and you'll notice two dark puddles of fudge sauce. There is a layer of fudge sauce and crunchies between the blue frosting and the vanilla and it does a nice job of trying to keep this treat in check. See, the way to eat this one is to get all the components on your spoon. It's tempting to eat your favorite part first, but then the cake just doesn't click. When all the pieces are on your spoon though, you get more then enough motivation to quickly cut or scoop your way through a piece. So it's not perfect (though I may just have a slightly off sample), but I still like this one. It's got that fun factor I desire, especially in the summer party months. Yes, more crunchies (and a bit more blue pizzazz) would help, but don't be afraid to give this one a try.